Dwarfism and other types of short stature have many different causes. Don is an energetic and outgoing young man in his twenties, and when people stare he never misses the opportunity to explain that he has achondroplasia (a-kon-dro-PLAY-zee-a), a genetic condition that affects his skeletal system and causes his unusual appearance. Don is 4 feet 5 inches tall, his arms and legs are very short, his head looks big for his body, his forehead bulges, and his jaw sticks out. Don tells people that the proper term for people with achondroplasia is dwarf or little person (although he prefers just plain Don). Don likes to show kids who are the same size he is that he can drive a car because the pedals have been equipped with extensions. Don does not consider himself disabled, although dwarfism is recognized as a disability under the Americans with Disabilities Act. Don endured a lot of teasing as a child, but he attributes his self-esteem to a supportive family and to a peer group called Little People of America (LPA). Dwarfism is a condition that causes people to be unusually short. Many types of dwarfism are caused by an underlying genetic problem. Gene * mutations (changes) that cause dwarfism can be spontaneous (not carried by the parents), and most people with dwarfism are born to average-sized parents. In some cases, however, dwarfism is inherited. Mutations (changes) in certain genes cause skeletal disorders in which the bones, especially the arms and leg bones, do not develop properly. Achondroplasia, the most common form of dwarfism, affects about 1 in 25,000 people. The average adult height of people with achondroplasia is 4 feet tall. Metabolic and hormonal disorders can cause proportional short stature, a condition in which people are small but all of their body parts are proportional to each other. Malnutrition, kidney disease, or diseases in which the body cannot absorb food properly can cause this type of short stature. More commonly, it occurs when the pituitary gland, a hormone-secreting gland attached to the brain, does not secrete enough growth hormone. Disorders of certain chromosomes also can cause short stature. For example, the average height of adult women with Turner syndrome, a genetic condition caused by a missing or partially missing X chromosome, falls between 4 feet 6 inches and 4 feet 8 inches without treatment. Down Syndrome, a condition that occurs when a person has three copies of chromosome 21, also results in arms and legs that are shorter than usual. What Are the Signs of Dwarfism? 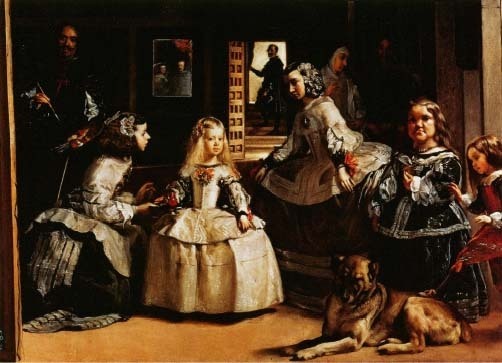 Diego Rodríguez de Silva Velazquez (1599-1660) painted this portrait of the Spanish royal family in 1656. The royal court included two ladies-in-waiting with dwarfism. The painting now hangs in the Museo del Prado in Madrid. Erich Lessing, Scala/Art Resource, New York. How Is Dwarfism Diagnosed and Treated? Once dwarfism is suspected in a developing child (for instance because of outward appearance, failure to grow, or how bones look in x-rays), doctors must find the underlying cause. Scientists know which genes cause some forms of dwarfism, so genetic tests can confirm or rule out those specific conditions. Growth hormone deficiency and certain other growth disorders should be looked for. Dwarfism caused by a deficiency of growth hormone is treated by giving the child growth hormone injections; many patients receiving this treatment grow several inches per year faster than they did before treatment. The growth of girls with Turner syndrome can also be improved with growth hormone therapy. There is no proven way yet to successfully promote growth in people with many other forms of dwarfism, but medical care is essential to prevent and treat complications caused by skeletal abnormalities. Joint replacement surgery can help improve mobility for some people with dwarfism. Sometimes, people with achondroplasia opt for an experimental surgical procedure that lengthens the arms and legs. It involves cutting a bone, inserting a scaffold between the bone segments, and allowing new bone to grow and fill in the gaps. Limb-lengthening surgery is not a common treatment; it is controversial; it is painful; it requires repeated surgeries; and it can lead to complications such as nerve damage. Roloff, Matt, and Tracy Sumner. Against Tall Odds: Being a David in a Goliath World. Sisters, OR: Multnomah, 1999.